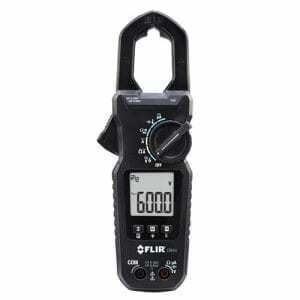 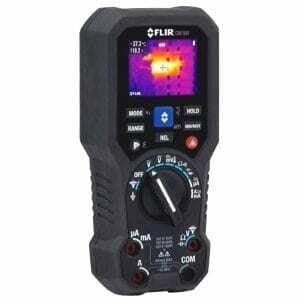 The FLIR DM90 Measures Voltage, Current, Frequency, Resistance, Continuity, Diode, Capacitance, and Temperature. 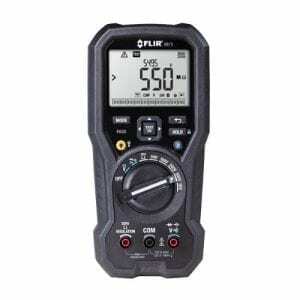 The FLIR DM90 is an cost effective True RMS digital multimeter with a Type-K Thermocouple input making it the ideal instrument for electricians, service technicians and HVAC professionals to have on the job. 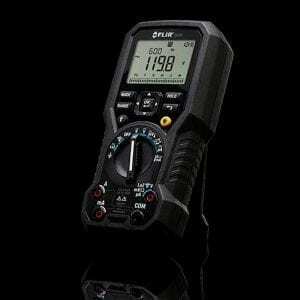 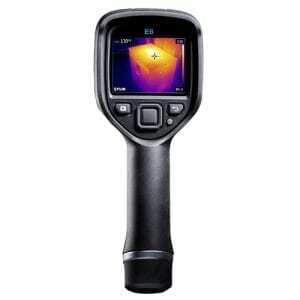 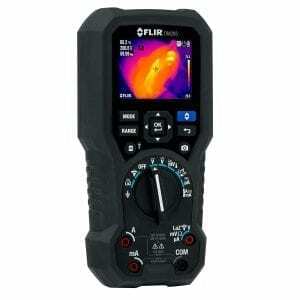 The FLIR DM90 is equipped with features including LoZ, VFD Mode and uA current measurement capability for flame circuits, the DM90 gives you trusted readings to troubleshoot and repair a wide range of electrical and electronic systems. 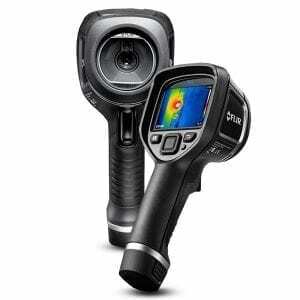 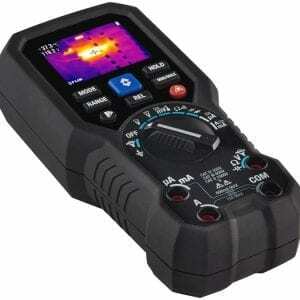 The FLIR DM90 is shipped fully tested and calibrated, and with proper use, will provide years of reliable service. 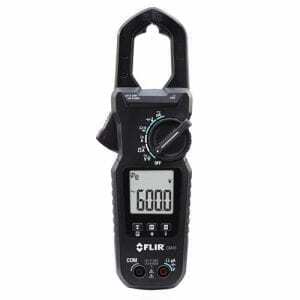 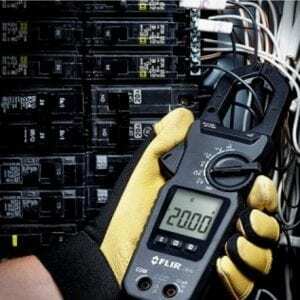 The FLIR DM90 is an affordable True RMS digital multimeter with Type-K Thermocouple measuring capability making it the ideal tool for electricians, service technicians and HVAC professionals to have on the job. 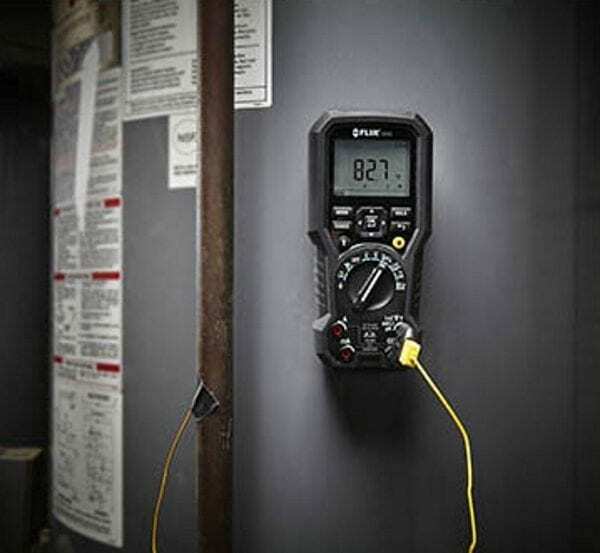 Equipped with rich features including LoZ, VFD Mode and μA current measurement capability, the DM90 gives you trusted readings to troubleshoot and repair a wide range of electrical and electronic systems. 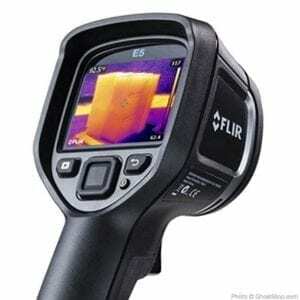 The FLIR DM90 is shipped fully tested and calibrated, and with proper use, will provide years of reliable service. 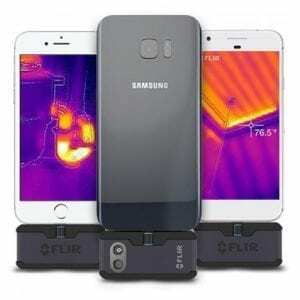 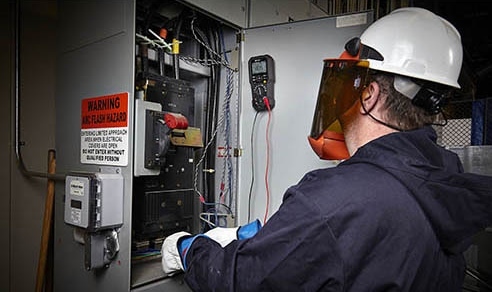 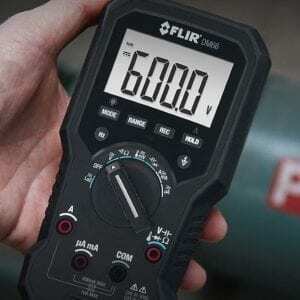 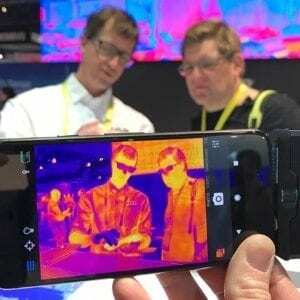 Providing rich features like LoZ, VFD mode, μA current measurement, and Smart/Classic Diode mode, the FLIR DM90 also measures voltage up to 1000 V AC/DC, current, frequency, resistance/continuity, diode, capacitance, and temperature — so you can verify problems with the most accurate readings. 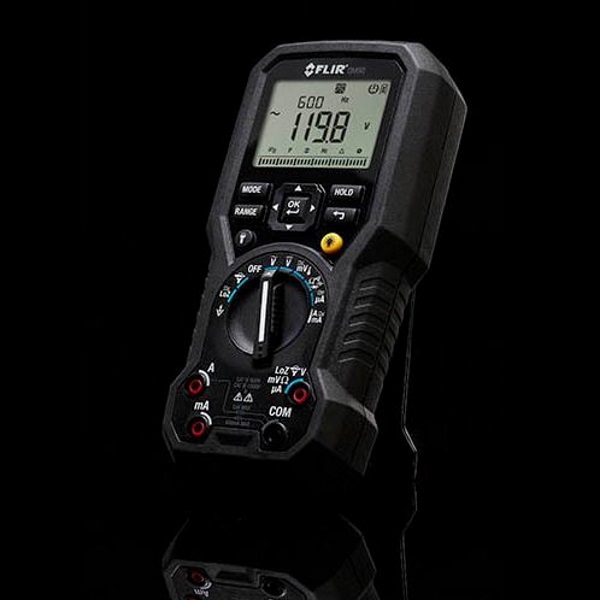 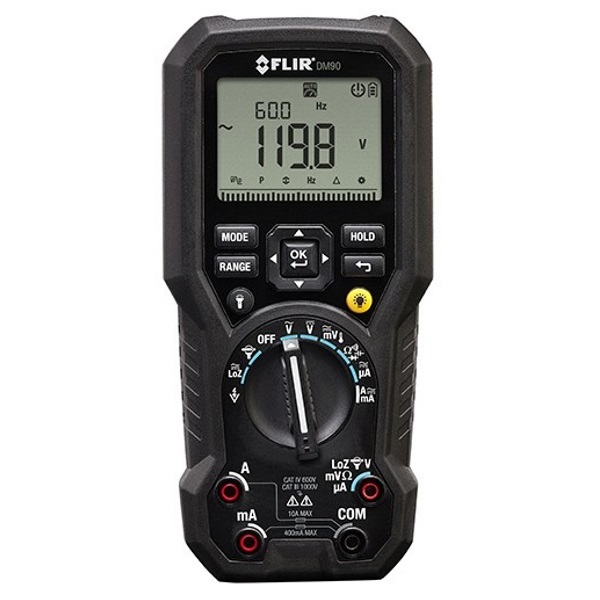 The FLIR DM90 also includes a built-in non-contact AC voltage detector. 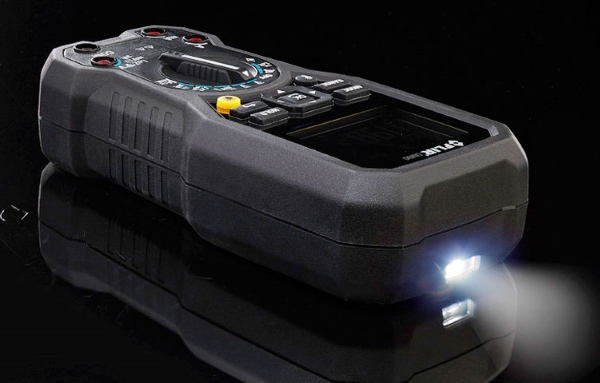 DM90 has all the features you need to make your job easier: powerful LED worklights so you don’t need a flashlight; a simple and customizable settings option menu, a clear digital LCD display, and on-screen programming menu navigation. 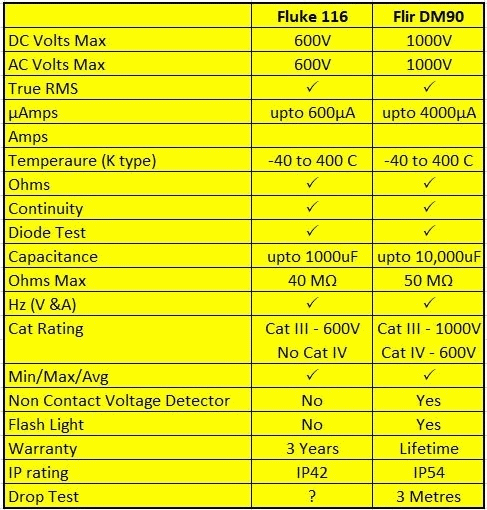 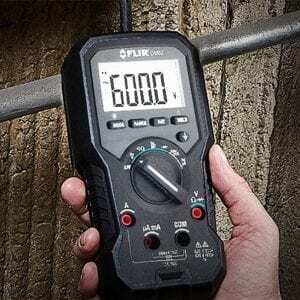 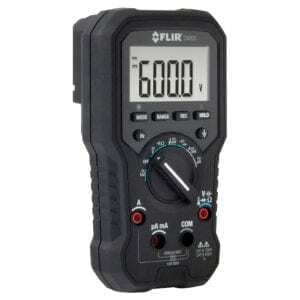 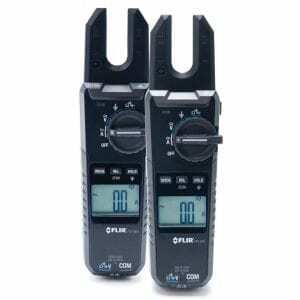 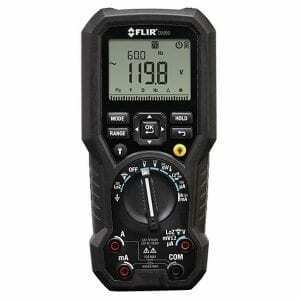 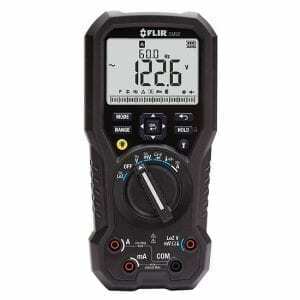 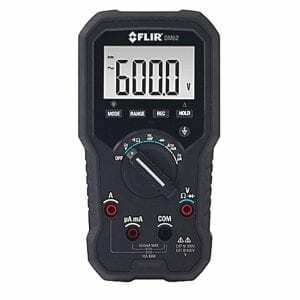 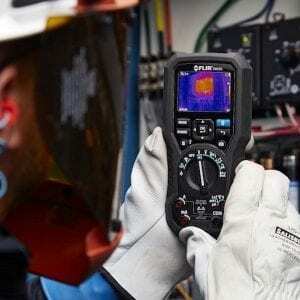 Comparison with the Fluke 116 HVAC Multimeter.